This is Kevin Jagoe's part of the "Serving the Nonreligious" talk at the 2015 UUA General Assembly in Portland, OR on Friday, June 26. Kevin is the Media Coordinator and Youth Director at First Unitarian Society, Minneapolis and the newly-elected Member-at-Large of the board of the UU Humanist Association. In this presentation, Kevin discusses the outreach efforts he is involved with at FUS, and encourages other UU congregations to offer things that humanists and other freethinkers are truly interested in. This talk by Rev. 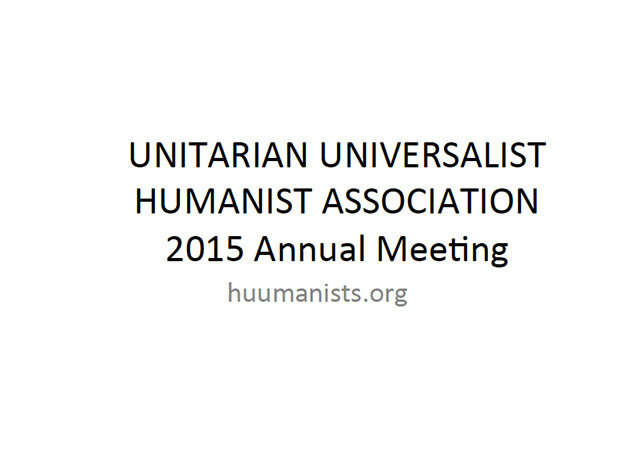 David Breeden was part of the "Serving the Non-Religious" session at the 2015 UUA General Assembly in Portland, OR on Friday, June 26. David is the senior minister of the First Unitarian Society of Minneapolis which has, "A heritage of forward-thinking humanism at home in the here and now". In this talk, David discusses the changing religious landscape of the FUS neighborhood, and by extension the country at large, then suggests how Unitarian Universalist congregations are going to need to adjust their programming and their thinking to thrive in the new reality. UUA, Why Aren't You Nurturing My Spirit?